More than a church, we’re family and we love welcoming people and inviting them to become part of the family. because we know that there is no limit to what God can do! Pastor John is a graduate of Christian Bible college and seminary where he received a BA in biblical theology. Since 1985 he has served as youth pastor, associate pastor, Pastor of evangelism, itinerant preacher, and as lead pastor of a start-up missionary outreach to Jewish people called Beit Avinu (Our Father’s House). 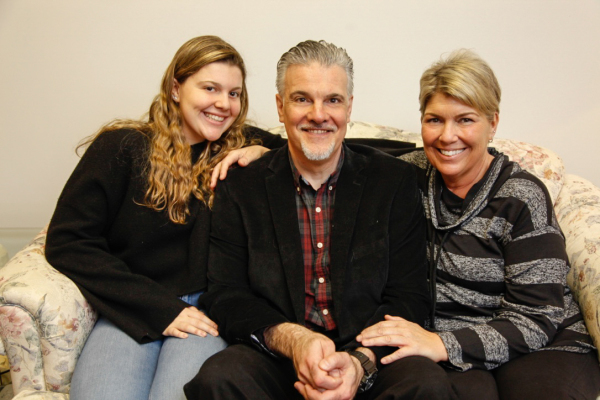 As of March 17, John, along with his wife Carolyn, were unanimously ratified as Lead Pastor of Shepherd of the Valley Church and are here to serve this community and region. Carolyn and John were married on October 10, 1997 and have an incredible gift from heaven named Abigail. They currently live in Rahway New Jersey. The Di Giorgio family, as well as the entire SOTV church, are here to serve this community and share the love of God through the Lord Christ Jesus. If you need prayer, visitation, a Bible or any spiritual help at all, we are here to serve you. Please see our Ministries page for more information.